One of the beauty’s of the Sony mirrorless system is also one of its downfalls. Don’t get me wrong, this isn’t a issue from Sony. The issue of banding in the photographs is due to the electronic shutter and certain lights . I’ve seen this is other mirrorless cameras too. There have been a handful of people asking how bad is the banding issue? They’re scared to switch over from their traditional canon or nikon dslr because of it. Note* Even traditional dslr can suffer from refresh rate of lights and sync speeds. Here is one example of that. Both images shot on a Canon 7d at 1/500 ~ f2.8. One image is clearly brighter than the next. Main shadow to the back on one, and the front on the next. This is the cycle and refresh rate of lights. As of 2017, the technology of cameras and electronic shutters have banding issues at high shutter speed is just something we have to deal with across the board. Not just from Sony. You can still shoot the standard mechanical shutter just like in your dslr. If you switch to mechanical shutter and still see banding, remember to also turn off electronic first curtain. Turning off efc also helps if you have issues with highspeed sync and flash. The banding is only an issue when using the electronic shutter with specific lights… I repeat, specific lights and at specific angles. There are other blogs that delve much deeper into the specifics of why this is happening but I just wanted to share my personal experience. For me, shooting on Sony a7rii, and Sony a9, I have found that 1/80 shutter is the magic number. First example was shot on an a7rii at f4 ~1/100. You can see faint banding on her arm and dress. I pulled a crop of that section to see it closer. Here is a photo at f4 at 1/60 shutter. The banding is pretty noticeable on her arm in the foreground and on the back of the girl to the right (click image to see larger). The second shot from that same angle was shot at f4 but at 1/80. All banding in the shadows is gone and you have to look really close to see any banding still on the musician in the yellow dress. Shooting at 1/80 gave me the best results during this show. I self edited (deleted in camera) during the show and got rid of the higher shutter images that has really awful banding so I dont’ have examples to show. Here is a final image, again shot at f4 ~ 1/80. I also posted a small gallery of images a while back, Atlanta Chamber Players. All images shot at 1/80. Continuing to another show, and shot on a different mirrorless camera. This performance was shot on a Sony a9. Again in electronic shutter mode. During the previous show, it was a classical performance so it was important that I make no noise. The next images could have been shot using mechanical shutter because the ‘click’ noise would be drowned out. I shot in electronic shutter 1. for faster burst options and 2. for the primary reason of no black out of the screen (only something on the sony a9). The top image was shot at f4 ~ 1/125. There is noticeable banding in the background lights. The bottom image though was shot at 1/80. This image from a similar angle shots at 1/250 again with noticeable banding in the background with the green lights BUT none in the foreground where there were blue lights. Same stage, same lights but a different angle and at 1/80. Notice zero banding, beautiful photo. Except of course I had to shoot at 1/80 and end up with a bit of motion blur. On a completely different stage. I shot this image at f4 ~ 1/500 on the Sony a9 using the Sony 12-24 lens. Not a single bit of banding anywhere in frame! So like I said, it depends on the lights and what angle they are. A perfect example of this is in the video below. One last example of the banding issue. Here is a short video panning across the stage at a rave. I muted the audio. Sony a7rii, I don’t recall the setting. 24fps 1080p. There are several examples of the banding and these changes depending on the color of the light and the angle it is. Some lights are fine, sometimes its really bad. Watch the curtains in the background too. I’ve been shooting product photography for a bit now. I’ve had thousands of pieces come across my table and I thought I’d share a bit of my experiences. The goal with these photos was a pure white background to display on a companies website. The catch is creating a setup that I can shoot a hundred products on each day. I didn’t have the time, like traditional product photography, to position and change lighting for each piece. In this specific case I came in a couple months ago with ‘literally’ a room full of things that needed to be photographed for KEH.com. It’s an amazing company here in Atlanta that buys and sell photography equipment. If you’re looking for a piece of gear, check out their site. I had a standard 4ft table against a wall with a piece of white seamless pinned up. I gobo/boomed an arm with one softbox strobe overhead and a second to the side. The second light was more to the side and facing the background, so it wasn’t set on a 45* like most photo shoots but it still provided a lot of light on the product. I’d tilt this light left/right to throw more light on the product or more on the background. I didn’t have much control over the output power on these lights, basically they’re both ‘on’. I adjusted the distance of the lights and my camera settings to get my default for an ideal photo. Most of the time I left the overhead lights on since my shutter basically killed ambient light anyhow. I used a tripod with ball head so I could position the camera easily and quickly for each shot but keep it in place as I made adjustments to each photo. My general setting were. ISO:100 F:18 Shutter:1/160 using Sony a7rii with Sony 24-70 f4 lens. I liked the a7rii because I would shoot in medium jpg (web use only) and could jump between crop and full frame mode depending if I’m shooting a full size tripod or photographing a small Leica lens and get the zoom range from the same lens = 24-105. The key to my set up was two parts. The second, and more creative part of the project was a stack of foam core cardboard. The foam core board is always the tricky part. Using different cut sizes of black/white board I would modify and shape the light for each product, but again quickly without having to move any lights. Sometimes I would use large gator clips to stand two small 5×7 pieces of black board to the back left/right of a product to catch the reflection so it wouldn’t be blown out and lost. You can see that here. It’s just enough black reflection off the board to see the curve of the lens. *the boards would be cropped out. The second part of the foamcore board was the white board used to prevent blown highlights, but in a much softer way. Here are three photos. The first is just the lights. You can see the chrome is blown out white. The second is holding a white board over the camera to the left. This cast a shadow on the front of the camera and added contrast to the dial but still had a blown out top. The third final image was holding the white board again but after I moved it around to find the sweet spot. The strobes still light the subject but they dont reflect against the chrome and make it disappear. All three photos were taken using the same light set up, and same camera settings. I hope this has been helpful to others trying to shoot products of their own. Please feel free to drop a comment in the section below with examples of your own work or if you have any question. Had a great time this year at the Days Of The Dead convention here in Atlanta. Always an awesome group of people who come out for this. In the gallery below I clicked a few shots of some of the greats from horror film history, including Leatherface with a mini chainsaw, and four of the actors who portrayed Jason in Friday the 13th. The discussion with the kids from Stranger Things was absolutely amazing. A few weeks ago I went to see The Wolverine in theaters. Pretty good movie, some things were kind of like “oh come on, really?” but over all I enjoyed it. But I’m not here to talk about that movie. I wanted to share one of the previews for another movie. Something that looks really great and I can’t wait to see. The Secret Life Of Walter Mitty. I thought this preview was really well done and makes the movie look exciting. It also reminded me of a commercial from a few years back. The second video is the Kodak commercial I was thinking of. It is absolutely brilliant and beautifully done. Even if its ironic they are talking about ‘digital’ in the commercial and it was because of digital they went under. Kodak actually created one of the very first consumer digital cameras. They were the forerunner to what was to come with digital slr cameras, but they did not embrace it and crashed/burned because of it. Using the Canon 50mm 1.8 for video can be tricky. So, video? Eveyone says this is a great lens but near impossible to use for video. The focus ring is right on the front on the lens and makes it very difficult to pull focus in video and not end up with your fingers in the shot. Here’s a simple, affective solution. A $4 rubber hood. It works as a sun shade but also prevent your fingers from accidentally being in frame! Works like a charm. HERE is one on amazon. Everyone knows the ‘nifty fifty’ and probably just as many own one. This is a great little lens! It actually took me several years to actually get one myself though. I never could bring myself to use this super cheap plastic lens. No image stabilizer, no USM. Wow, I can’t believe what I was missing out on! I had to admit its focus is pretty snappy. If your shooting in a real quite place then the buzz of the autofocus does stand out because its not USM. If you are anywhere with the least bit of noise then you won’t hear it. There are a ton of reviews out there on this lens, field tests, and examples so Im not going into specifics or comparing it to its big brothers that cost X many times more than this one. I can say that I love shooting with this lens which is kind of funny because I shoot a 5d mark III lol and have this little plastic lens on it. I don’t care, it creates beautiful images. Here’s a shot I grabbed last weekend using this lens. Fun Times! A few notes on Follow Focus units for my Canon DSLR. Of course there are a ton of follow focus units out there, from geared to friction base. You can spend more than a grand on a nice unit, and even the lower cost $350 focus units are super nice to have. I’m not going into big specifics between cinevate, cavision, redrock and so on. Today I wanted to point out two interesting finds that have a different take. Ok, first lets take a quick look at a typical follow focus and then move on to the two interesting finds. To use one of these your camera has to be on a set of rails. 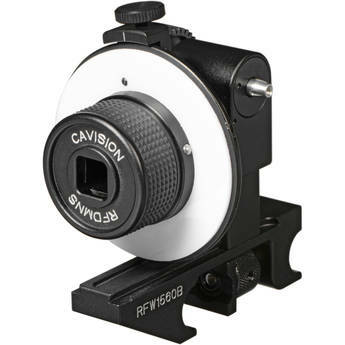 Personally I own a Cavision RFD15BM Basic Mini Single Wheel Follow Focus and I really love it. Mainly I bought this because it fit my budget and have never looked back, its been a GREAT follow focus unit. Here is a shot of what it looks like. On to the cool stuff. This seems like a great little unit thats relatively inexpensive. The motor seems a little loud though, so that could mess with your audio. First off is Jag35.com electric follow focus. Here is the newest find that I CAN”T WAIT to get my hands on. It’s from a group Im not familiar with but called Okii Systems. This looks like such a sweet little idea. You have to use a USM Canon lens for this to work, but it is based off of Canons EOS Utility plugged into the usb of the camera. Check out the site for more specifics on it. As of today its not been released yet, but has a price of $400. THATS AMAZING! Anyways, here a shot of what it looks like. There are a couple videos on their site. The modern age digital Holga. How many of you know what im talking about when I say the “Holga”? Im sure a percent of you are thinking, this guy has spent a little to much time in German hostels. As a female name, its actually has a Danish origin. BUT for the photographers out there you either just gave me a high five, or imagined slapping me in the back of the head. You love her or you hate her. She is the Holga! The Holga is a all plastic toy camera. You load it with real film, and take actual photographs with the camera, but it is as basic as basic can possibly get. It is a creative camera. A learning tool. My first photography class at Savannah College of Art and Design was centered around this camera. We used this camera for a couple different purposes. We used it to hone our skills in the darkroom because of the unique photographs it produces, but this camera was to teach us to stop worrying about each photograph and details of shutter and aperture and just take a picture. Pure creativity. Many of us fall away from this side of photography because of all the details and specifics our cameras posses. After college a few of my friends traveled Europe with their Holga camera. It was cheap, plastic, could be beat around, did not need batteries, could get wet, and had a spring shutter… I mean it made some wonderful photographs, but they certainly didn’t have to worry about someone stealing their camera. To be creative and photograph just for creativity. As a photographer, this is rare. Taking photographs with something that produces a low quality crappy image? Why would I do that? I am sure a lot of you do it on a daily basis and never realize it. I call it the modern Holga…… our cell phones. This is something that every one of us has in arms reach nearly 24/7. Our phones take the same quality picture as a Holga, instead of shooting on 120 film, its straight to a memory card where we can see our picture that instant, make quick edits straight from our phone, and even post them for all our friends and family to see within minutes of taking the picture. And the joy of it is we don’t worry about specific focus, what shutter we are using, nothing but pure enjoyment and capturing a moment. To snap a picture out of pure carefree pleasure, not caring how it came out or what the picture even looks like. It’s simply for the creativity and for capturing that moment. I challenge you to take a photograph every day. Any photograph. Something funny, something enjoyable, something painful. Anythings that is in the moment that makes us smile, makes us cringe, or makes us laugh.